CANTON, Mass. (January 21, 2016) – Dunkin’ Brands, the parent company of two of the world’s most recognizable brands, Dunkin’ Donuts and Baskin-Robbins, today announced that it has signed a master franchise agreement with Grand Parade Investments Limited (GPI) to begin developing Dunkin’ Donuts and Baskin-Robbins restaurants in South Africa. 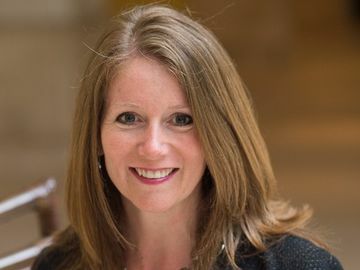 The agreement remains subject to GPI’s receipt of approval from the Financial Surveillance Department of the South Africa Reserve Bank. Under the agreement, GPI will develop more than 250 Dunkin’ Donuts restaurants and more than 70 Baskin-Robbins shops in South Africa over the coming years, with an initial focus on Cape Town and Johannesburg. The agreement also calls for the introduction of Baskin-Robbins ice cream products to supermarket chains and convenience stores in South Africa over the next several years. Dunkin’ Donuts is one of the world’s leading coffee and bakery chains, with more than 11,500 restaurants in 40 countries worldwide. Dunkin’ Donuts restaurants in South Africa will feature the brand’s wide range of high-quality hot and iced coffees, lattes, espresso, cappuccino, teas, Coolatta® frozen drinks, sandwiches, bagels, and donuts, all served fast in friendly, convenient locations and at a great value. The brand will also offer regional menu items to cater to local tastes. Baskin-Robbins is the world’s largest chain of ice cream specialty shops, with more than 7,600 locations in nearly 50 countries worldwide. 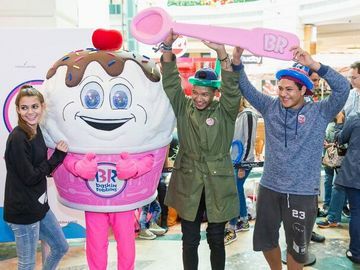 Baskin-Robbins shops in South Africa will feature the brand’s extensive selection of hard scoop ice cream flavors, as well as ice cream cakes, frozen beverages, ice cream sundaes and take home treats. 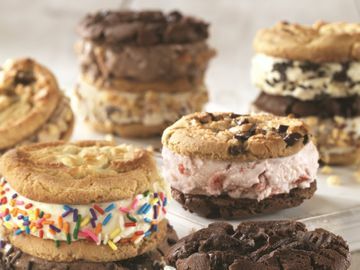 Baskin-Robbins ice cream will also be available in select retail shops in the coming years. For more information about Dunkin’ Donuts, please visit www.DunkinDonuts.com. For more information about Baskin-Robbins, please visit www.BaskinRobbins.com. Named the top ice cream and frozen dessert franchise in the United States by Entrepreneur magazine's 36th annual Franchise 500(r) ranking in 2014, Baskin-Robbins is the world's largest chain of ice cream specialty shops. Baskin-Robbins creates and markets innovative, premium hard scoop ice cream and soft serve, custom ice cream cakes and a full range of beverages, providing quality and value to consumers at more than 7,600 retail shops in nearly 50 countries. Baskin-Robbins was founded in 1945 by two ice cream enthusiasts whose passion led to the creation of more than 1,300 ice cream flavors and a wide variety of delicious treats. Headquartered in Canton, Mass., Baskin-Robbins is part of the Dunkin' Brands Group, Inc. (Nasdaq: DNKN) family of companies. For further information, visit www.BaskinRobbins.com. Grand Parade Investments Ltd. (GPI) was formed in 1997, as a truly Broad-based, Black Economic Empowerment investment holding company. It has since grown as an enterprise with investing interests in the food, gaming and leisure industry. With a substantial shareholder base representing a broad spectrum of the population of the Western Cape, GPI has been trading effectively on the JSE since 2008 and has consistently grown its portfolio to the benefit of all of its shareholders on an annual basis. In addition its ownership of Grandplay, it also has a 25.1% shareholding in Sunwest (Pty) Ltd, which comprises both GrandWest Casino and The Table Bay Hotel, 25.1% of the Golden Valley Casino, and presently operates over 3500 LPMs at over 700 different locations across the Western Cape, Gauteng, KwaZulu-Natal and Mpumalanga. GPI owns MacBrothers Catering Equipment, 10% of Spur Corporation and 51% of Grand Tellumat Manufacturing and is also the proud owner of the Burger KING® master franchise for South Africa.